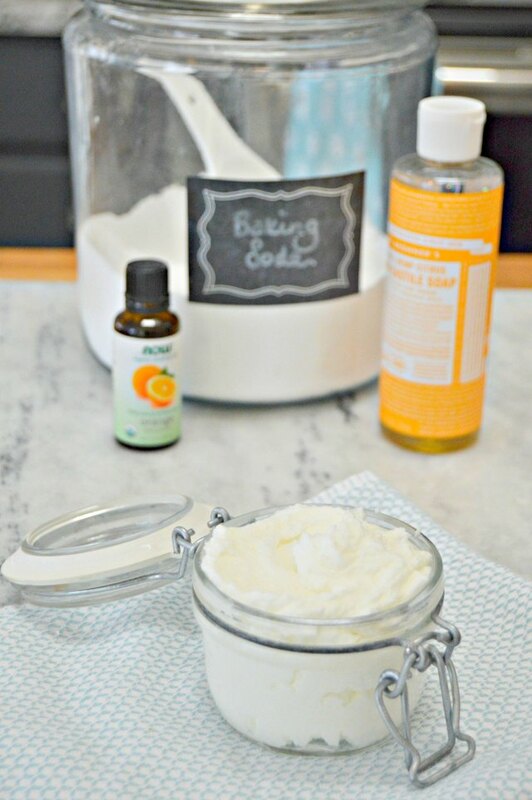 This DIY Soft Scrub Cleaner can be used in your kitchen and bathroom, and is so easy to make with a few household ingredients. It will get your sink, bathtub, scratched dishes, pots and pans and even your stove top clean in minute. 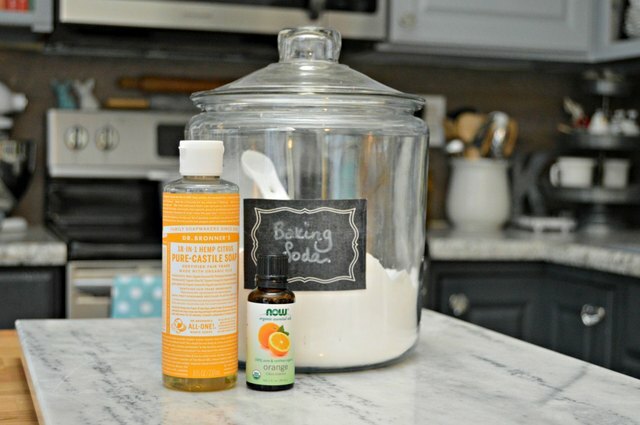 It's the most amazing multi-purpose cleaner you can make! 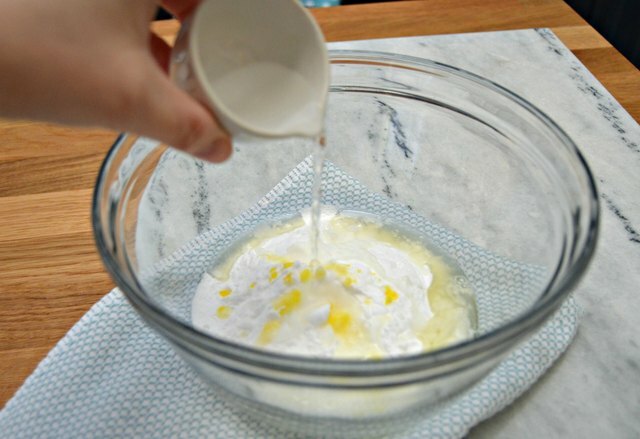 Step 1: Add 1 cup of baking soda to a bowl. 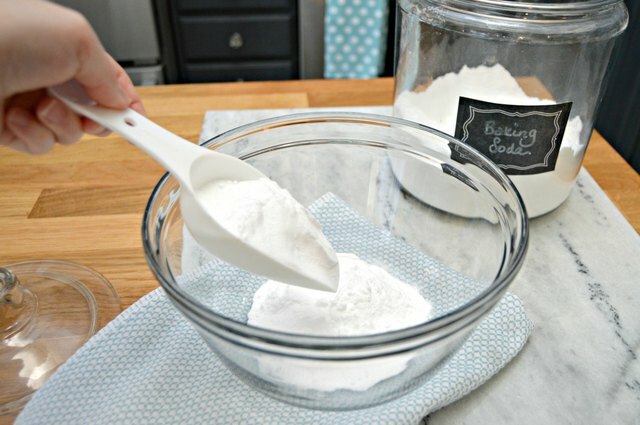 The baking soda works as a mild, non-abrasive scrub. Step 2: Add 2 tablespoons of Castile soap. The Castile soap is the cleaning agent. Step 3: Add 15 drops of orange or lemon essential oil. 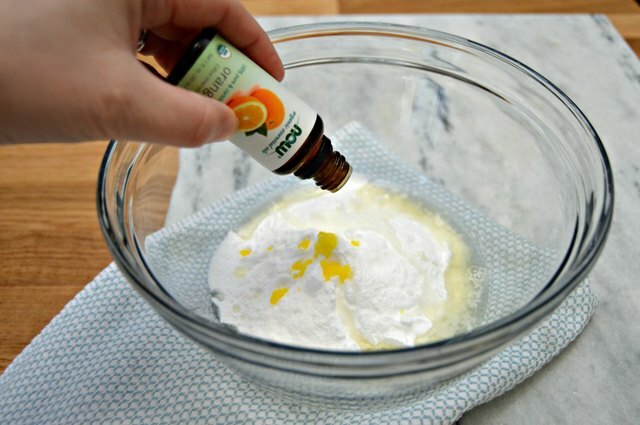 The orange or lemon essential oil helps to lift any burned on foods, stains and any hard to remove food or soap scum. Step 4: Add 1/4 cup of water. 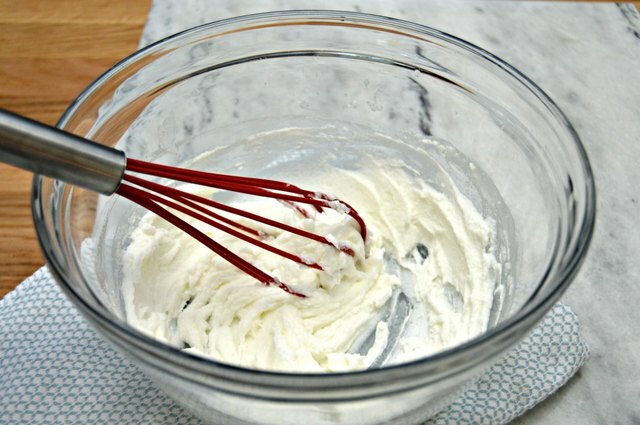 Step 5: Whisk ingredients together. 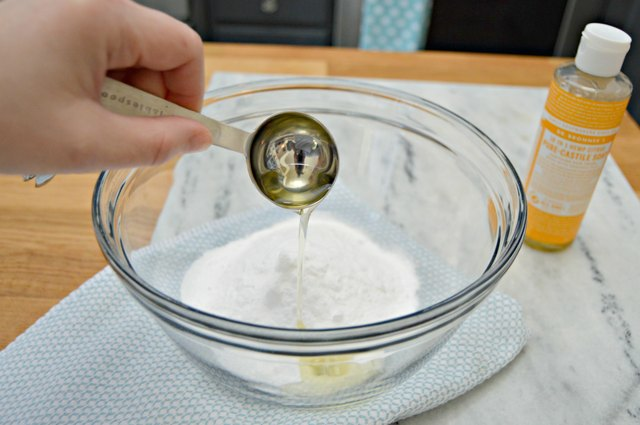 Use a kitchen whisk to mix ingredients together. 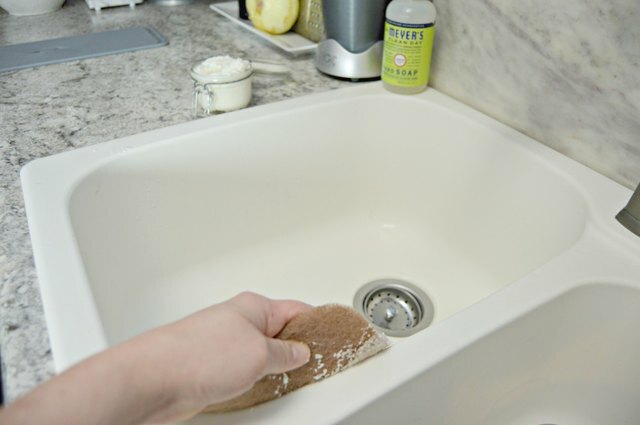 If your scrub seems too thin, add a little more baking soda. If it seems too thick, add a little more water. 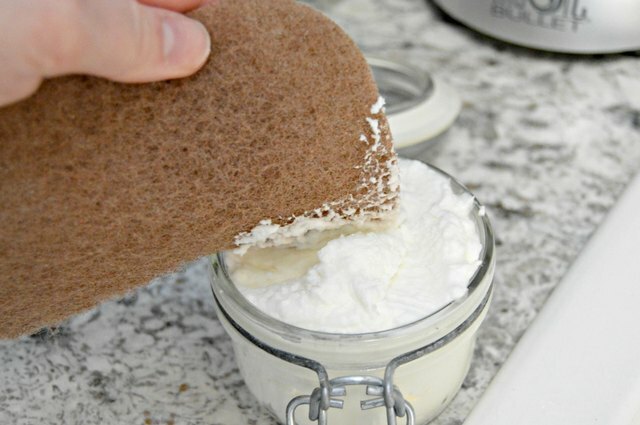 Your soft scrub should be the consistency of cake icing. 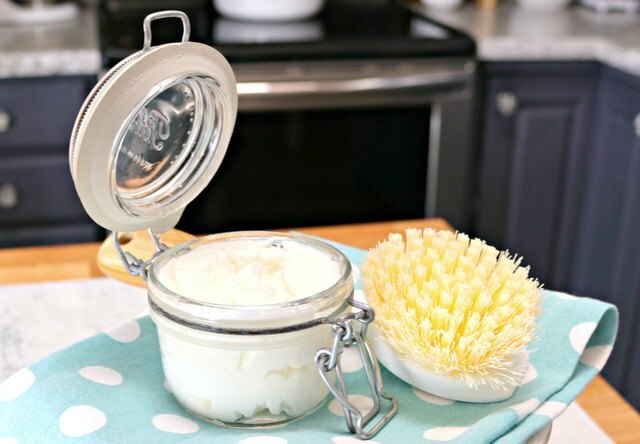 Store your soft scrub in an airtight container. To use, simply add some of the mixture to a damp sponge or scrubber and massage into the surface you wish to clean.